The Wildlife Center at Crosstimbers Ranch official blog A glimps into the world of wildlife rehabilitation…the world through a rehabber's eyes. There’s a bobcat on my patio/in my yard! How do I get rid of it?! Okay guys, fair warning, this is gonna be a long one! I get asked this question on a regular basis. My response is always the same. I ask the concerned party why they want this animal removed from it’s home. They cite numerous fears for their reasoning. “Won’t it attack my pets? Won’t it attack my children/grand children?” The answer is no. No, a bobcat is not a blood thirsty monster waiting to pounce on the first human it sees. No, it does not want to work hard enough to try to catch your dog/cat. Of course, common sense in good measures is always reasonable when dealing with any wildlife. Cats and dogs should always be supervised outside. Just remember, the house you chose to live in because of it’s beautiful trees, manicured grass, and great lot size (not to mention the great pond with a walking path just around the corner) are all the same reasons that the bobcat chose it to be her home too. Here’s a little food for thought. Chances are, her and her family were there first (and have been for generations! They thank you for that beautiful hardwood deck with the open bottom, the great storage shed with a concrete floor that makes it feel soo much cooler in these hot Texas summers, that wonderful privacy fence lined with dense, low growing shrubs that offers so much security and seclusion, and the absolutely inviting koi pond with the bench swing that you love so much! They thank you for providing them with protection, security, habitat for them and their prey, and a steady water source!). Just remember, wildlife is attracted to the same things we are. Privacy, safety, food, water, and shelter. The only way to prevent wildlife from living in “your space” is to move into a concrete bunker…and even then, I’m sure the geckos and spiders will be more than happy to hang out at your place! It is impossible and impractical to remove all wildlife from “your territory”. Instead, what I personally strive to do is encourage wildlife that are beneficial for my goals while simultaneously discouraging wildlife that does the opposite. Here’s a fun example. How much money do you spend on watering and fertilizing your beautiful lawn and landscaping every month? A lot, huh? Have you considered inviting creatures that already specialize in landscaping? Providing native bees and butterflies with nectar plants (and food plants for caterpillars!) along side your carefully selected asthetic plants will attract these guys to your yard and keep your landscaping looking beautiful year after year. These guys will pollinate your flowers and help you cultivate your garden! Providing plants like white cabbage and passion vine will just keep them coming back as the butterflies look for food plants to lay their eggs on and nectar plants to keep their energy up! I have an irregular awkward little spot in my yard that is hard to do anything with….it’s hard to mow due to it’s odd shape, it’s quite far away from the sprinkler system, and from the house making it hard to water, so instead of trying to make it look lush and green like the rest of my lawn, I plowed it up, and turned it into a low water butterfly/veggie garden. I surrounded my nectar plants with food plants for my caterpillars, and sprinkled them amongst my veggies and fruits. It is never touched by pesticides or fertilizers (or any other harsh chemicals) and It works beautifully! Want another example? How many of you out there pay for pest control services? Incorporating self sustaining habits into your lifestyle could help you live more comfortably with the wildlife around you! I live on 3/4 of an acre, in a heavily wooded neighborhood (in my yard alone, there are over 100 trees). I also keep chickens, compost green materials from my kitchen, and keep cords of firewood outside for winter. This can attract some unwanted wildlife in the form of rats, mice, snakes, and roaches. My solution? provide habitat for my local opossums! I love opies! And I would love to tell you why! Most people see a Virgina opossum, and they describe them as pointy nosed, beady eyed,naked tailed, over-grown rats. I have to say, I can’t really disagree…they aren’t the most beautiful creatures out there, but I LOVE seeing them in my yard! (and if you give them a chance, those beady eyes may just grow on ya a little!). Isn’t Willow just darling? Remember those creepy crawlies I mentioned a minute ago? Rats, mice, snakes, and roaches? Can you guess what some of an opie’s favorite foods are? You got it. SO, by providing plenty of sheltered spots and a bowl of water on my back porch for my ugly little friends, I cut down on large numbers of the afore-mentioned! Best of all, I didn’t pay hundreds of dollars for some guy in a haz-mat suit to spray all kinds of harsh chemicals all over the yard and house where kids and animals play! WIN! BONUS: you people that fear snakes, pay attention! the only snake venom that affects opossums is coral snake venom! Opossums are IMMUNE to snake venom! Translation: Opossums can eat almost every snake found in Texas. I may or may not have mentioned it on this blog before, but as well as being a behavioral specialist for The Wildlife Center at Crosstimbers Ranch, I work as an Animal Services Officer for a major city in North Texas. I am certified by the state of Texas to carry the title of Officer. The benefit of wearing two hats is the ability to tell you what happens on both sides of the story! That, and I often get to give the wildlife that ends up at our shelter a fresh start. I don’t like seeing healthy adult wildlife come into the shelter. There is no reason for it. At best, it is frivolously exposing these animals un-necessary stress, and every disease known to animal kind. There is one upside for me though! I get to release lots of healthy adult opossums (after a period of quarantine and conditioning! Don’t try this without proper training…survival rates for animals of any species that are nothing more than relocated are abysmal, and cause a multitude of other problems in the habitat if not done properly) at my house to chow down on the excess of rats and snakes that love living in my wooded area! Let me temper my previous statement by saying that there have been known cases of rabies in opossums, but they are exceedingly rare. I want to make sure you absorb all of what I am saying, so I will repeat. Cases of rabies in opossums are so exceedingly rare that they cannot be considered carriers for the virus. Known cases of rabies in opossums are under bizarre circumstances in which the virus has been introduced directly into the brain tissue necessary for the virus to replicate. The reason? Well, we aren’t quite sure, but our best guess is that the opossum’s primitive makeup (it’s nervous system [ the channels the virus would take to enter the brain ] is not as developed and connected as modern mammals) and oddly low body temperature actually offers it some manor of protection from the virus. Actually, for this same reason, opossums are not really carriers of any diseases…they even enjoy immunity from dog and cat ailments like distemper! Not a bad trade off for such a short lifespan! Key points! Pay your opies in shelter and water, and they will do your clean-up for you! Their services are effective for long term use, and incorporate all natural ingredients, free of charge! What if the wildlife you are dealing with isn’t a prey animal but a predator? Well, I have examples for that scenario too! First, ask yourself why you want that animal removed. For me, it was a fox. She was absolutely gorgeous! Stunningly beautiful coat, very large individual. She had taken up residence under my shed. Over the course of several months, she thinned down my flock of 15 chickens down to four! I couldn’t let my girls free range and forage anymore due to this very persistent predator. The most frustrating part was that she was killing three or four chickens at a time, just to kill them. She was not eating them, just playing with them. The final straw was when she swiped my tiny frizzled bantie named Karma, and then took some chickens from my neighbors…young kids that I had given some chickens to. She had to go. Why did I wait four months to do something about this animal? It was spring time, and I feared that she had kits under my shed that would perish without their mother. Fair is fair, and I had invited her into my yard by providing her with the perfect den, and easy access to food and water for her kits. But, now it was time for her to go! I could not have her ruining my young neghbor’s experience of raising backyard chickens! What did I do? Well, I trapped my fox, and did something I am all too familiar with…I strapped on some elbow pads, and crawled under that shed! It was not a pleasant experience, but I found that my darling fox was not providing for kits. So, I sealed off the bottom of my shed using 3/4inch hardware cloth, a staple gun, and some landscaping bricks to make it look pretty, sprung the trap, and watched that beautiful animal bound away. I have not seen her since, and have not lost any chickens since then. We humans seem to have this rather deep rooted fear of anything predator. Most of the predators we deal with here in Texas are going to be no bigger than a bobcat or a fox. At the largest, they are around twenty pounds…that’s about the size of a cocker spaniel if you need a size reference. The chances of an animal that small being tenacious enough to take on a kid or a dog are extremely minimal. Bobcats (and foxes) are not terribly brave, especially not the ones we deal with here in urban settings. They would not waste the energy on something so large. Bunnies and squirrels (and the occasional chicken! grumble grumble!) are more their speed. So just sit back, relax, and enjoy your urban wildlife! If it isn’t being a nuisance, get it to work to your advantage (or just enjoy the eye candy! ), if it IS, talk to us! We can help you find practical ways to resolve the problem! Not every wild animal needs to be “fixed” by a rehabber! WCCR is a 501(c)3 non-profit organization opperating out of Terrell, Texas. 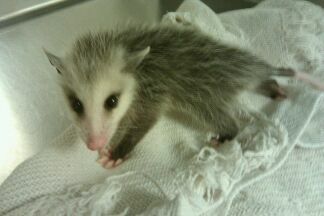 We are the only wildlife rehabilitation center in Northeast Texas. Our specialization is the North American Bobcat. WCCR also houses two other organizations. NBRR (national bobcat rescue and research), and the WREN (wildlife rehabilitation education network) project. The first and only wildlife rehabilitation and education school in the nation. Our goals are to work towards the standardization of wildlife rehabilitation nation wide, and to assist as many wild animals as possible. Not only does it take a good deal of financial resources to keep WCCR running, there are also various food and other items that we require from time to time. If you would like to assist in those ways, please feel free. We can always use taurine powder, and a suplement called Missing Link (feline formula). If you would like to donate diet, we have located a company called layne labs that offers gift cards to the rehabilitator of your choice. 100% of your donation will go towards the purchase of foods for that center. you can click on the link above the bio, or copy this one into your address bar. http://www.laynelabs.com/wildlife-centers/wildlife-center-at-crosstimbers-ranch Currently, our red dot is the one closest to Dallas on the map. This is our flagship school program. I am a graduate of the WREN project, as are many other volunteers associated with WCCR. We offer WREN classes throughout the year. It is a phenominal, indepth course that provides a good starting point for people with all levels of experience in the rehabilitation, housing, and treatment of wild animals. Internships and volunteer opportunities are also available. If you are interested in taking a WREN course, an internship, or a volunteer position, feel free to e-mail me.